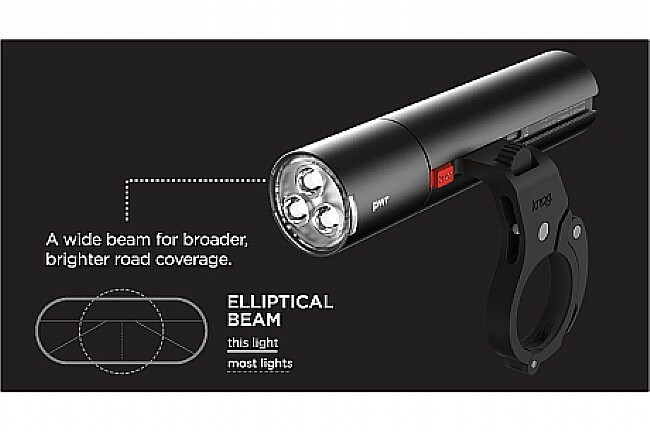 Hiding in plain sight, the Knog PWR Road Front Light is more than just a high-output light designed for serious visibility. This modular light is actually an ecosystem of interchangeable products, centering around Knog's versatile PWR Bank. Simply remove the Light Head and access the hidden USB charging port, allowing you to keep your phone, cycling computer or other battery-powered accessories charged. 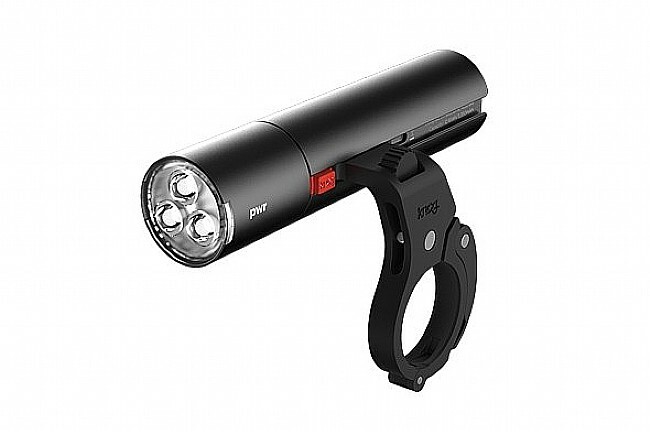 Knog designed the PWR Road Front Light with 3 high-powered LEDs pumping out a maximum of 600 lumens with 6 different light modes. But fear not, if you don't see a mode that fits your riding area, turn to the ModeMaker app and design your own. 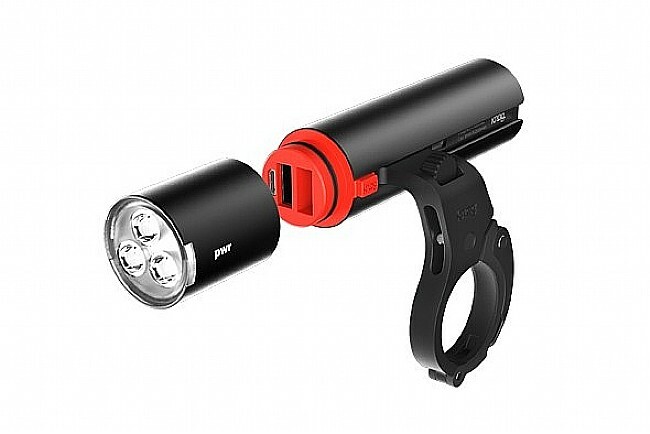 The Knog PWR Road Front Light includes the Road Light Head, PWR Bank, Side Mount, Gimbal Shim, and a USB Charging Cable. 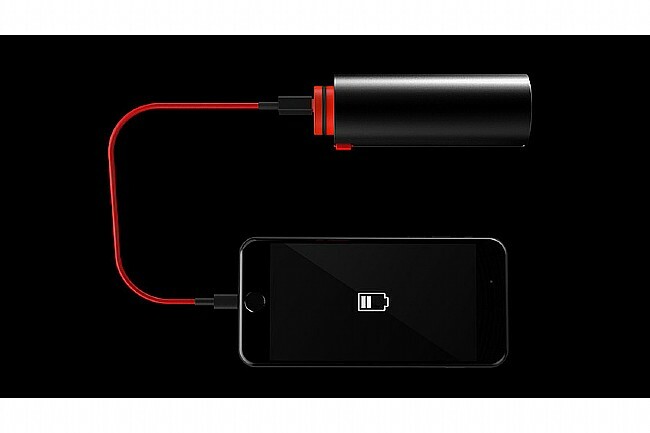 More than a light, the PWR Road is an ecosystem of products that share a Power Bank. Light head detaches from Power Bank to charge devices like computers, phones, or other lights. Maximum output of 600 Lumens. Twisthead operation to turn light on, off, or scroll through light modes. Max: 600 lumens / 2.3 hours. Mid: 250 lumens / 6.1 hours. Stamina: 65 lumens / 23 hours. Pulse: 600 lumens / 8 hours. Strobe Flash: 250 lumens / 12 hours. Eco-Flash: 65 lumens / 195 hours. Fabulous light. Have been told by non-cyclists that it makes me very visible. I have it in the hanging position on my drop bars. Like that because it doesn't interfere with my hand position on top of the bars. You need to make sure that the light is on really tight so it doesn't vibrate off the holder clamp. Just ordered another one because mine came off (I was on blacktop that was rough) hit the ground, separated at the connection to the battery pack. Got worse when a car didn't see it. Just ordered another one because it is that good a light. Stylish, well-designed light with a battery that actually lasts for its advertised time. Perfect for evening rides. Easy mount, intuitive controls and all the settings you ever need. Finally a light that is incredibly functional and has aesthetics to match! As soon as you take it out of the box, you can tell that this front light has had some serious engineering behind it. The mount is secure. Switching between different modes is easy when riding. And the Strobe mode is perfect for riding at night, as you get enough lumens to see, and the pulsed flash makes you even more visible to those around you. On my last ride, I foolishly didn't secure the mount to the light properly and had it slip off and crash onto the pavement at 25 mph. It survived with only a few scuffs, thanks to the machined finish that is strong. I can't recommend this light enough! 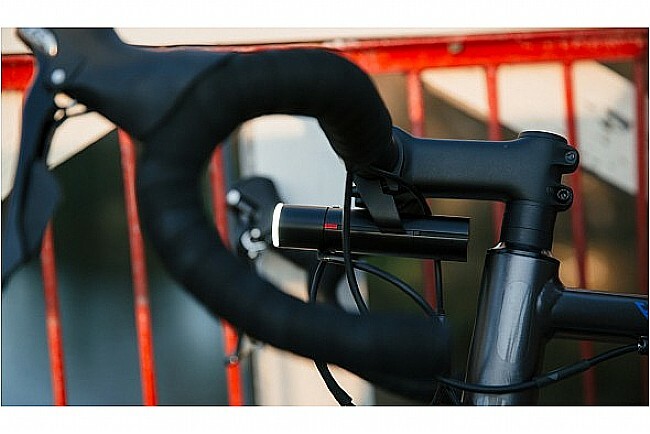 Paired with the Knog Blinder Mini Chippy rear light, you are in safe and reliable hands!